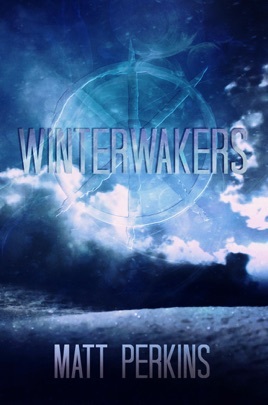 The complete Winterwakers saga in a single eBook. Includes an epilogue and appendices not found in the original trilogy. Every year, humanity hibernates as global winter covers the planet in cold and darkness. The wealthy slumber through the peaceful winter months in modern hibernation centers and specialized pods, while the poor sleep shoulder-to-shoulder in overcrowded public facilities. But not everyone sleeps. And not every winter is peaceful. A genetic anomaly prevents one in a thousand humans from hibernating. They watch over the hibernating masses and keep essential infrastructure alive while the snow falls. Winter is the time of the Winterwakers—the few who witness the silent beauty of the season. When Elliot, a shy Winterwaker computer tech, reunites with his school friend Carlos, their world is turned upside-down by a bizarre break-in at a hibernating billionaire's mansion. In the aftermath, they meet Sarah, an embattled public hibernation caregiver whose ‘Sleepers’ are going missing. Together, the three friends must navigate a web of secrets, forge unlikely alliances, and uncover a plot that threatens all of humanity.